Is it possible to be a pastor and not trust God? As I continue to shine a light on my auto pilot and journey deep into my own life in the hopes of a new heart and way of being, I’m still uncovering patterns I didn’t realize were so hard wired in there. Sometimes it takes experiencing the resurrection before you realize the ways you were slowly dying inside. 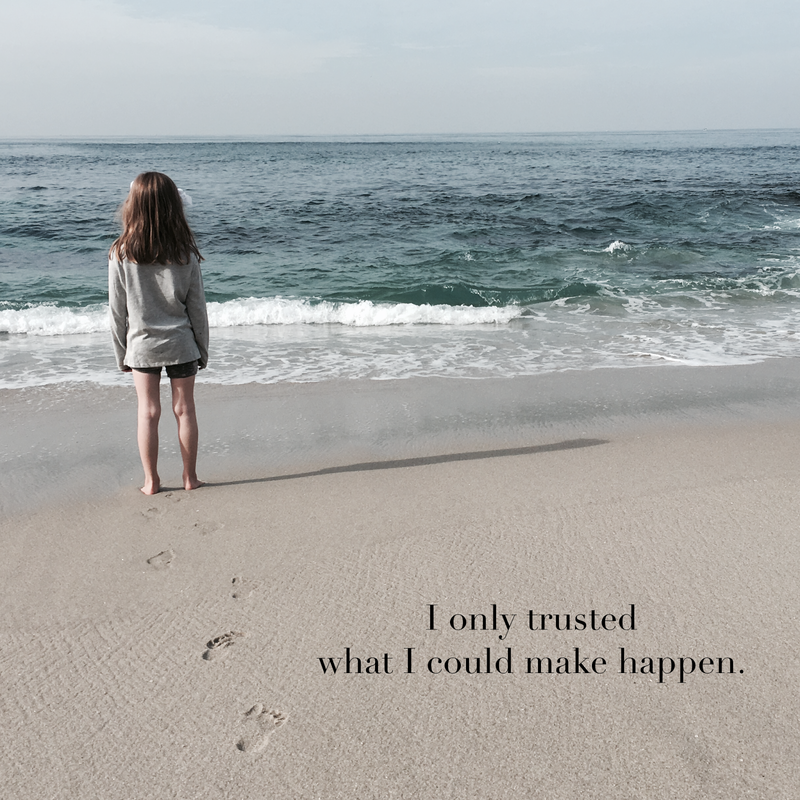 I used to believe wholeheartedly that I trusted God. I mean I went to seminary, made it through the ordination process and became a pastor. Of course I trusted God. And yes, I did trust God. But part of me did not. Now that I’m in another season of intense growth, I look back I see a pattern of trusting myself more than I trusted God. Talk about prevenient grace. This is the grace that is gifted to us before we’re aware of how God wants to move in our lives. Before I thought I was trusting God but it was really by default. I didn’t choose it on purpose very often. I tried to control life and couldn’t. And after the fact, I tried to call that faith. When I look at how my trust in God has deepened this past year, it makes me feel like before I was just saying I trusted God but I really only trusted what I could make happen. I’m still finding the language for how different it feels to actually trust God. Now it feels like my palms are open all the time. And that changes just about everything in my life. It feels like I’m held. It feels like the ground I’m standing on is stronger than the shaky mud I used to slip between my toes. I’m not sure I’ll ever get over how surrender works. The very things we cling to for dear life are killing us. When we memorize how it feels to open our palms and let go over and over and over and over, we learn to trust the moment of surrender. We learn that on the other side of the big, scary, bottomless swirl of uncertain darkness, there is a piece of solid ground. And it’s enough for that moment. As we approach the season of Lent, a traditional time of giving up something we’re too focused on and adding in a new habit or behavior, it’s a perfect time to surrender. What behavior, activity or attitude needs to take a break for 40 days? Consider fasting it. We give it up for a season to make room for something new to rise. If you’re feeling extra brave, go after the thing your heart tells you is the biggest distraction to your forward growth. You know what it is. Know that God is inviting you into a resurrection this season. There is a part of you that wants to die and become something new. This is the business of God. Do you trust God enough to make the journey? It’s okay if the trust feels small. Turns out Jesus can work miracles with the little bit that we offer. Holding on for dear life. Learning to open palms up is challenging. Thank you for sharing your experience.